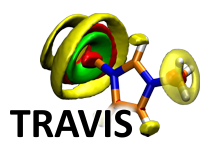 Open-source project to run ab initio molecular dynamics simulations. Program suite for electron structure calculations; free for academic use. Powerful freeware for performing force field molecular dynamics. Free software tool to analyze simulation trajectories. Performs quantum cluster equilibrium (QCE) calculations to predict properties of fluids. Useful tool to create bulk phase simulation cells. Drawing program for 3D molecular structures. Will take place from 22. – 26. September 2019 in Rostock (Germany). Took place from 17. – 20. September 2018 in Halle/Saale (Germany). Took place from 21. – 25. August 2017 in Basel (Switzerland). Took place from 26. – 29. September 2016 in Bochum (Germany). Took place from 20. – 24. September 2015 in Potsdam (Germany). Took place from 14. – 18. September 2014 in Wien (Austria).